COMMERCIAL LOT FRONTING STATE ST INBELVIDERE FOR SALE OR BUILD TO SUIT. 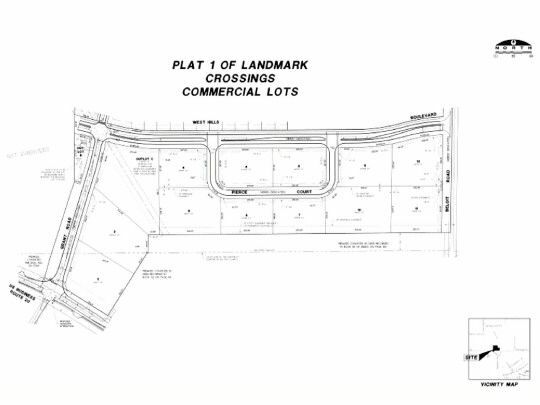 ENTRY LOT TO THE 20 ACRE LANDMARKCROSSINGS RETAIL/OFFICE DEVELOPMENT AND THE 130 LOT LANDMARK CROSSINGSSUBDIVISION. $3,752 would be your approximate monthly principal and interest payment. This payment is based on a 30-year loan at a fixed rate of 4.12 % with a down payment of $86,068. Actual lender interest rates and loan programs may vary.